The Aluminum Timing Cover is die-stamped, 2-pieces and is made from 0.90 aluminum for lighter weight and excellent strength. These die-cast, polished aluminum timing covers come with oil pan seal, allen head bolts and studs, washers and gaskets. Their attractive and unique design allows quick camshaft removal without dropping the oil pan or breaking the oil pan seal. 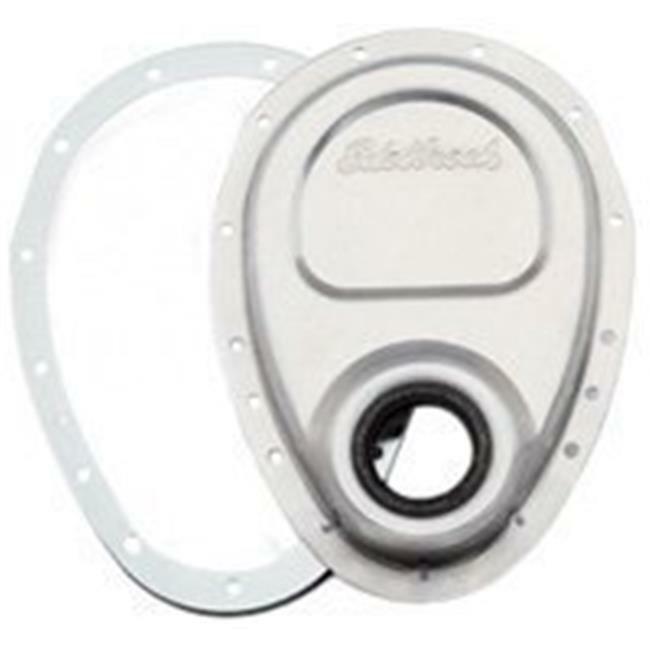 This timing cover comes with the Edelbrock logo embossed on it. It requires nylon cam button and also includes crankshaft seal. The timing pointer and bolts are not included.